vintage sewing machine - promotional Jones serpentine. 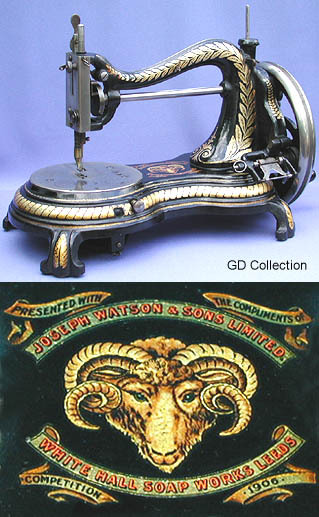 Dating from 1906, this well known Jones machine was specially commissioned by Joseph Watson & Sons Ltd. of White Hall Soap Works, Leeds, as a promotional prize. Surviving examples usually surface in above average condition - possibly due to their late vintage.